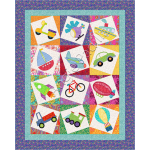 An easy little quilt, perfect for beginners, makes a great present for a baby shower or a toddler's first birthday! 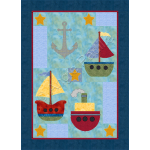 Fun and whimsical, this little wall hanging is simple enough even for a beginner. What a delight for..